Recently I was driving through the campus of our local university and noticed a striking similarity between the majority of students walking to and from class. What was that similarity you ask? They were all walking with their eyes focused firmly on their smart phones. I have no idea if they were texting, tweeting, updating Facebook, surfing the web, or simply looking for a friend’s number to call, but the fact remains that everyone (and I mean EVERYONE!) under the age of 25 is on a mobile device constantly. Have you sat at a traffic light and glanced over at the car in the lane next to you recently? If so, more than likely you’ve noticed the driver (and passengers) in the car typing away on their phone. Mobile is here to stay. It’s no longer the next big thing, it’s here now, and growing exponentially. The latest predictions are that by next year (2014), more people will be accessing the internet on a mobile device than on a traditional desktop computer! According to Google, over 50% of all local searches (e.g., Bowling Green, Ky Electrician) are performed on a mobile device. And on top of that, 62% of companies that have a mobile optimized website see an increase in sales, according to Econsultancy. So what does this mean for your business and how does it affect your marketing? Don’t worry, we’re getting to that. If your website isn’t optimized for mobile, you’re in trouble. Have you taken a look at your site on a mobile device recently? How does it look? Is it easy to read, or do you have to pinch and zoom in order to read it? If your customers, clients, or potential customers & clients are using a phone or tablet to search for your business, look up directions, read your content, or to purchase your products and services online, your site HAS TO BE mobile friendly. If it’s not, they’re going to purchase from a competitor whose site is optimized for the mobile web. When using Google Analytics or another analytics tracking software, I would recommend checking to see what percentage of your site visitors are accessing your website on a mobile device. If you want a quick way to test your website and see how it looks across all types of mobile devices, we’ve recently put together a tool that will enable you to do just that. It’s a mobile website tester, and I’d encourage you to check it out right now. Ok. How did your site look? Good, bad, in between? That’s the litmus test. What you saw using that tool is what your customers are seeing as well. If you don’t like the way your site currently looks and behaves on a mobile device, you have three options to improve it. They are: build a mobile website, install a mobile site plugin, or have your site rebuilt using mobile responsive design. Pros: Detects when a mobile device is used to view site and serves up a separate mobile site. Better for e-commerce and content heavy sites. Cons: It is a 2nd website you have to manage and update. It will cost more long term. There can be negative search engine ramifications since you’re splitting your content onto two websites. Pros: It is usually simple and easy to set up. Typically the least expensive option. Only one website to manage. Cons: It is extremely unattractive and looks nothing like the desktop version of your site. Can be hard to navigate. Not a good long-term solution. Pros: Only one website to manage. Keeps the same look and feel of your regular site. All content remains the same, only the format changes. 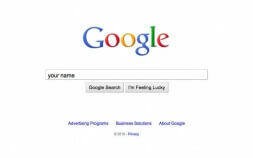 It’s the most Google-friendly of the 3 options. Will “respond” to any device size by automatically displaying a version optimized for the specific device a user is on. Less cost long term than a separate mobile site. Cons: Typically requires a complete website redesign. Initial development is slightly more expensive. For huge websites with hundreds of pages it can be hard to navigate. My preferred method for mobile friendly websites is mobile responsive design. 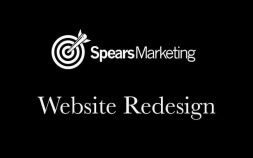 In fact, SpearsMarketing.com is built using this technology. If you’re on a desktop computer, shrink your browser window down to see the content “respond” to change in size. Who knows what new and advanced technology will come down the road in the future. But for now, mobile responsive design appears to be the most “future-proof” of the available options. Two other excellent examples of popular websites using mobile responsive design are the Boston Globe and Starbucks. 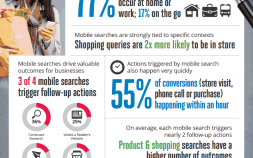 So what are you going to do to improve the mobile presence of your business website?